Line dance lessons are available in the Westwind Ballroom. A line dance is a choreographed dance with a repeated sequence of steps in which a group of people dance in one or more lines or rows, all facing either each other or in the same direction, and executing the steps at the same time. 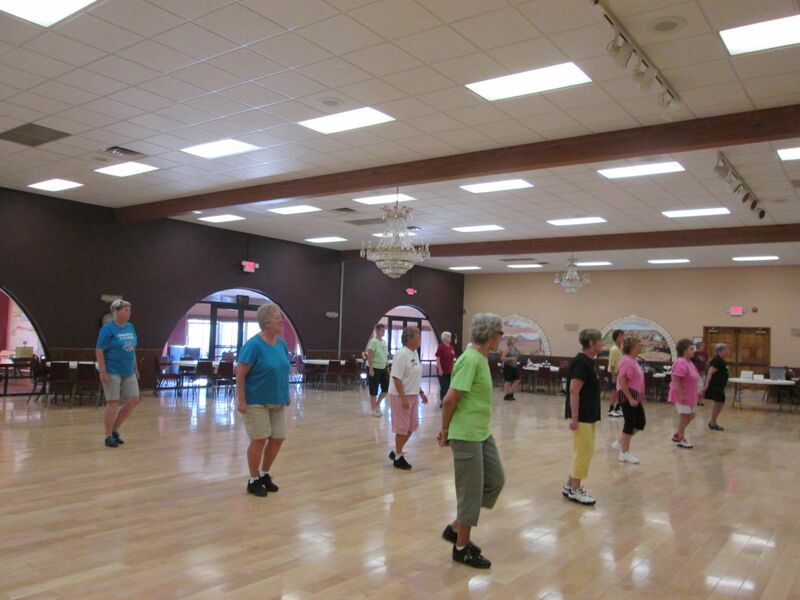 Square Dance Lessons are also available at Westwind. A square dance is a dance for four couples (eight dancers in total) arranged in a square, with one couple on each side, facing the middle of the square.